Background: Over the last fifty years neonatal care has made tremendous progress; increasing survival, reducing morbidity, developing newer modalities of care and therapy for the very low birth weight (VLBW) and premature infant. However, mortality from neonatal sepsis in this group of infants has remained between 18-20% in the developed world and around 80% in the developing world for last three decades with little sign of decline. There is also clear evidence that VLBW infants who survive infection in the neonatal period are at significantly greater risk of neuro-developmental delay; making sepsis the most important cause of mortality and morbidity in this group of infants today. Objective: The objective of this review is to highlight the reasons for this lack of success in combating neonatal sepsis successfully. These can be attributed to four main reasons; 1) poor host defences, 2) clinician's inability to diagnose sepsis early and accurately [due to lack of or general availability of highly sensitive and specific markers], 3) clinician's poor understanding of the ‘process’ i.e. patho-physiology of neonatal sepsis, thus not being able to institute early ‘goal’ directed therapy, and 4) total reliance on killing the pathogen(s) with inadequate attention to correcting the consequences of the inflammatory process itself. This review presents a brief epidemiological background to neonatal infections in the VLBW infants, discusses host defence systems and how immune compromised VLBW infant combats infection by describing the pathophysiological ‘process’ of sepsis in detail. It is our belief that understanding the heterogeneity and complexity of host response and the defence systems is fundamental in formulating management strategies. Conclusion: By discussing patho-physiology, current available diagnostic tests and presenting an evidence based management ‘care bundle’ it is hoped to change clinician's paradigm to use more immune and molecular markers for diagnosis and monitoring of the infection process and in management considering adjunctive therapies that boost host defences. It is recognised that while this review is static i.e. it presents evidence as we understand it today, sepsis is a dynamic process. Our understanding, ability to diagnose and manage neo-natal sepsis is constantly changing and will continue to change and evolve. By presenting this review it is hoped that over a period of time more of our practices would become evidence based and dogma abandoned. Background: Having presented brief epidemiology of neonatal infection and patho-physiology of neonatal sepsis in the first part of this review we now address the difficulties in defining, diagnosing and treating neonatal sepsis. Objective: The objective of this part of the review is firstly, to highlight the reasons for lack of consensus on the definition of neonatal sepsis despite a number of international conferences of experts on the subject. Secondly, to discuss the increasing sophistication of available laboratory tests and why they all lack the certainty desired by the clinician and thirdly to discuss the various evidence based treatment modalities available to treat neonatal sepsis. Conclusion: It is suggested that pragmatic definition of sepsis as suggested by us should be adopted. Greater use of biomarkers and molecular tests should be made to diagnose sepsis early and accurately. Lastly, it is hoped to change the clinician's paradigm by using evidence based management care bundle/package that includes adjunctive immune-modulatory and host defence boosting drugs. Metabolic surgery can be considered as part of functional surgery, where the function to be corrected is a metabolic one. The first known example of metabolic surgery is probably the partial ileal bypass for the treatment of hypercholesterolemia. Modern metabolic surgery was preceded and inspired by bariatric surgery, basing on the strong metabolic effect of some obesity surgery operations, especially gastric bypass and biliopancreatic diversion (BPD), mainly active on type 2 diabetes mellitus. A true metabolic operation, primarily aimed at obtaining a favourable metabolic change, should on one side not provoke undue weight loss, on the other side act through specific mechanisms independent of weight changes. BPD, in clinical use since the late 70s, has proven to meet these requirements and is successfully used today in clinical trials for the treatment of the metabolic syndrome. New developed metabolic operations are represented by duodenal-jejunal bypass, endointestinal sleeve, and ileal interposition. All the efforts should be aimed at conceiving an operation equally effective as BPD, yet less invasive. Islet transplantation can be an important ther-apeutic option for adults with unstable type 1 diabetes-individuals who, despite their best efforts, have wide, unpredictable fluctuations in blood sugar levels or who are no longer able to sense that their blood sugar is dangerously low. For these people, transplantation may be a viable solution. Since the first report of successful pancreatic islet transplantation to reverse hyperglycaemia in diabetic rodents, there has been great interest in determining the optimal site for implantation. Although the portal vein remains the most frequently used site clinically, it is not ideal. About half of the islets introduced into the liver die during or shortly after transplantation. Complications associated with intraportal islet injection and the progressive functional decline of intrahepatic islets encourage the exploration of alternative sites. In tests in animals, scientists from the Diabetes Re-search Institute in Milan showed that bone marrow is a promising alternative site for islet transplantation. This review considers bone marrow as site of islet transplantation and metabolic, immunological and technical aspects are discussed. Reviewed here are studies in animal models of type I diabetes that have led to better understanding of the disease and progress to its cure by of pancreatic islet transplantation and/or manipu-lations of the immune system. 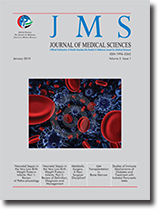 These studies include: 1) the first complete and permanent cure of chemi-cally induced diabetes in rodents; 2) demons-tration of autoimmune recurrence of diabetes in islet recipients; 3) induction of intrathymic tolerance to islets; 4) prevention of autoimmune diabetes by thymic manipulation; and 5) demonstration of the importance of B lymphocytes in autoimmune diabetes and islet rejection. These experimental studies over the last four decades are the basis of a successful ongoing human islet transplant program. Novel direct thrombin inhibitors (DTIs), such as bivalirudin, are replacing heparin in several clinical scenarios. In particular, DTIs are indicated for the treatment and thromboprophylaxis of patients with heparin-induced thrombocytopenia (HIT). In interventional cardiology, DTIs have several advantages over heparin, and offer a clinical benefit equivalent to that of a combination of heparin and antiplatelet agents. We hypothesize that this benefit results from the ability of DTIs to inhibit platelet activation by activated serine proteases. This study represents the development of a modified 14C-serotonin release assay (SRA) to investigate the relative inhibitory effects of three DTIs (argatroban, bivalirudin and hirudin) on thrombin- and factor Xa-mediated 14C-serotonin release (SR) in plasma-free systems. Washed platelets were isolated from blood of healthy volunteers. The 14C-SRA test was similar to that used to detect heparin-PF4 antibody-mediated platelet activation, except that it was used to evaluate the ability of DTIs to modulate protease-induced SR responses. The inhibitory effects of DTIs were determined at protease concentrations that induced ≥50% SR. Serine proteases induced SR from platelets in a concentration-dependent manner. Human thrombin was found to be more potent than bovine thrombin (2-3 times for 50-80% SR). Bovine factor Xa (≥0.2 nKat/ml) produced a comparable (50-80%) SR response. All three DTIs effectively blocked serine protease-mediated platelet activation in a concentrationdependent manner. The optimum inhibitory concentrations of bivalirudin on SR was ~100 nM for human thrombin and bovine factor Xa and almost double for bovine thrombin; well below plasma concentrations necessary for effective anticoagulation for percutaneous coronary interventions. Wide variations in the inhibitory effects of each DTI on thrombin- and factor Xa-mediated platelet activation were noted, which was partly dependent on the donor platelets and stability of the proteases/inhibitors. It is concluded that DTIs can directly inhibit serine proteases-mediated platelet activation responses. Aim: Assessing characteristics of non-participation in epidemiological studies is often complicated by lacking information. The aim was to assess characteristics of nonparticipants in blood testing and possible nonparticipation bias in our previous study on the impact of vaccinations on atopic disorders. Methods: In a previously conducted study on vaccinations and allergy we now used multivariable logistic regression to assess characteristics of non-participants in blood testing, an optional part of the study protocol. Possible bias due to this non-participation was assessed by an analysis weighted with the inverse of the probability of being a participant and by a sensitivity analysis. Results: Having refused consent to consult vaccination registration data (OR: 4.7, CI95%: 2.9-7.6), not having disclosed income, lower school class, lower birth order, not having a history of pertussis, and eating less vegetables were significant determinants of non-participation in blood testing. Weighted analysis and sensitivity analysis yielded results similar to those in the original study. Conclusions: We found that refusal to participate in blood testing was related to reluctance to disclose private information in general and to sensitivity on the subject of vaccinations in particular. Also, parents of younger children with less older siblings, without a history of pertussis, and consuming less frequently vegetables, were more likely to be a non-participant. Selective participation in blood testing may have affected our assessment of the reliability of the reported vaccination status, but leaves our conclusion from the original study, that there is no positive association between the DTP-IPV vaccination and atopy, unaffected. It is now well accepted that the NF-κB pathways are involved in inflammatory diseases, cancer development and progression in human solid tumors. The NF-κB signaling element IκBα was shown to inactivates NF-κB activity through sequestration of this transcription factor in the cytoplasm. In the present study, we investigated the impact of the IκBα on the invasive growth of human colon cancer cells HCT8/S11 stably transfected by this endogenous NF-κB inhibitor. We report that IκBα ectopic expression inhibited NF-κB promoter activity induced by the Y527Fsrc oncogene, and reduced HCT8/S11 cell migration in wound healing assays. Our data show that IκBα abrogated collagen type I invasion induced by the trefoil factors TFF1 and TFF3, but was ineffective on the invasive phenotype determined by leptin. Moreover, IκBα reduced HCT8/S11 cell proliferation in vitro and the growth of their corresponding tumor xenografts established in the athymic mice. Taken together our data demonstrated that the intrinsic NF-κB inhibitor IκBα negates several transforming functions in human colon cancer cells. Our data provide the rationale for further preclinical and clinical studies based on therapeutic interventions targeting NF-κB pathway.